← MTV Movie Awards Press Junket: What’s That All About?! 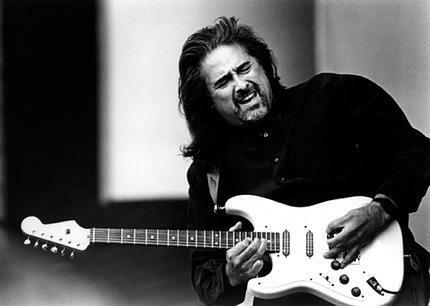 Blues guitar great Coco Montoya didn’t start out as a great guitarist. In fact, he didn’t start out as a guitarist at all. He instead was a talented drummer whose first major gig was as a drummer with blues great Albert Collins. Collins took Coco under his wing and taught him the ins and outs of the blues guitar. Coco had such an aptitude for guitar that he later was picked as the guitar player for English blues legend’s John Mayall and his group the Bluesbreakers, following in the footsteps of such musicians who have played with Mayall and the Bluesbreakers as Eric Clapton, John McVie, Mick Fleetwood, Harvey Mandel, Jack Bruce, Mick Taylor and Peter Green. Presently, Coco is constantly mentioned as one of the top blues guitarists in the world. I caught up with Coco just before he began another tour, which will culminate in his performance with his longtime band as the headliner at the Ventura Blues Festival on April 25. Q: Coco, how did you get started playing the blues? In 1972, I was the drummer for Albert Collins. That actually put me onto the scene as a touring sideman which was pretty significant at the time. Q: Albert Collins must have been a great teacher for you…….. He was an amazing guy to know. I could not have had a better person, a teacher to show me what the blues was all about. Actually, the lifestyle as well. Q: After that, you progressed on to John Mayall’s Bluesbreakers before starting your own solo career….. It was a great experience, something which I didn’t think was going to last more than a few months, but it ended up lasting just shy of ten years. It was a great experience, a real learning experience. And completely different from the Albert Collins experience, which I think really helped to round me out and give me a whole another perspective. John was so organized and he was coming from a different place as a bandleader. He really taught me a lot, you know it was really great to observe him and watch him work through the problems you have on the road from day to day. John was very good at getting where he needed to be and for somebody young and not knowing that later on in life I was going to use that, it became very important to my running my own band with a lot of the things he taught me. Oh yes, my connection with Michael John goes even further back. We grew up in the same neighborhood and I used to hang out with his older brother, Chuck. I watched Mike grow up over the years, so it’s kind of like extended family because we lived just one block over from each other. When he started doing something like this it was obvious it was something I was interested in. It was great and I’m glad to have been involved. I was born in Santa Monica, raised in Mar Vista and West L.A. That’s where I did all my stomping. I moved to the Valley a while ago, right before John Mayall. I’ve been in the Valley for quite a while. This is all home to me, I’ve been all over the world but I sure love coming home. Q: Have you known Mickey Jones also? It’s been about eight years that I’ve known Mickey, maybe a little longer. Meeting him was great, we hit it off right away. He’s just a great guy and he’s another guy who just knows his stuff. As a musician he was incredible and had some incredible experiences, people should listen when he talks about the business and such. And moving on into acting, he’s been very successful and he’s all around a really really great guy. Q: I think with Mickey being a drummer for people such as Bob Dylan, Kenny Rodgers and Trini Lopez and with you doing your stint as the drummer for Albert Collins that the two of you would have a lot to talk about…..
We definitely were matching war stories from the road, we definitely had a good starting-off point. It really bonded us! Q: Coco, you’re definitely the blues but you’ve got your own style. On a song like ‘Hey Senorita’, you definitely add a different element to it……. Well that was always the intention for me. While I discovered blues at an early age and was very drawn to it, with a big love for it, I was blessed to play with a lot of the blues greats around L.A. especially. There were other influences on me as a kid and a young teen so all those come into play. I was just looking at an article about a band called Thee Midnighters out of East L.A. They were a big deal when I was a kid, I opened up for them when I was 16 years old. They used to be on TV all the time, they had a great singer called Little Willie G and they were coming from a real soulful place . To this day they’ve been real influential for me. So there’s a lot of influences for me besides the’bluesers’, obviously there’s the Beatles influence on me and then what the European people, the English did to blues; it became a hybrid, something different when they sent it back to us, with John Mayall, Alexis Korner, people like that so I’m influenced by all those things. And I love everything, I love soul music, I love Motown, I love do-wap so that plays into my show. I’ve always loved a variety of things. That’s definitely a goal, that’s definitely the right place to be. I’m very guilty of overplaying at times and then I’ve got to remember what guys like B.B. King, Freddie King, Albert King did. Albert Collins used to tell me ‘Play what you feel, don’t try to overthink it’, so I’m constantly at battle trying not to overdo the notes. I have a tendency to play a little bit much! But the goal is to say more with less –definitely I know some guys who are way better at it than I am. But expressing yourself emotionally in any music, I don’t care what music you are playing, if you can’t do that then you’re not going to get across to anybody. Q: So you’re looking forward to playing at the Ventura Blues Festival? I’m really excited about it! They’ve got some great people on the lineup here, these are a lot of people I have respect for. Any one of them should be headlining, I mean John Nemeth, I discovered him a couple of years ago, man he’s going to rock the house, they’re going to love him. He’s great! B.B. Chung King, what can I say, just a wonderful incredible player and singer and songwriter, I mean he’s the whole package. He’s incredible. The Delgado Brothers, now there’s another connection to the East L.A. sound and the soul sound. The Delgado Brothers have been around and they’re one of the most soulful and fired-up bands I’ve ever played on shows with. I’ve actually had the honor of playing with them a couple of times and they’re tremendous. My friend Deanna Bogart, she’s a transplant from back east, she’s been doing the tour circuit for a long time, she’s well-respected all over the world and if people don’t know who she is, they will! That’s the beauty of a good blues festival, to bring people out to these things and see brand-new discoveries, that’s the great thing about a good blues festival. Q: People this year are really going to have a big treat in store for them…..
when you have top-notch musicians playing before you, which is wonderful, which is what they’re supposed to do. They’re supposed to go out and give it their all and every one is not a half-stepper, they’re all great! Q: Do you like festivals? Is there a difference there compared to playing a regular club show? There are subtle differences but the one big thing of course is the size of the audience, the wide-open space, larger stage and such. You’ve got to approach every show, whether it’s a club that’s 80 to 100 people or a big theater or outdoor festival that’s 20.000 people or whatever, you’ve got to go up there with the same intention to just have a good time and let that transfer to the people so they have a good time. That’s all it really does, probably the scarier thing is to play to a crowd of 80 to 100 people, a small crowd, that’s scarier than a big audience because it’s more intimate it’s closer and they can hear every mistake and things that kind of stand out, so the big ones don’t scare me as much as the small ones! Q: So who’s playing with you at the Ventura Blues Festival? Well I’m bringing great musicians with me and I always try to acknowledge them, because without them there would be no show. On keyboards I have Brant Leeper. He’s been with me a long time and he’s played with a lot of great folks, out of Austin, Texas. He’s done a lot of session work and he’s tremendous. From a band I found, Randy Jacob’s band the Boneshakers, an incredible soul band, I got Nathan Brown, an incredible bass player who’s been with me for quite a while as well. On drums, a guy who I actually call ‘Multitask er’ because at one time he played bass for Little Milton, which is incredible, he played bass for him. He’s a great drummer, Mister Rena Beavers, pronounced ‘Rene’. He’s been around a long time and is a local favorite, in fact a lot of people will be coming out to see Rena play as he plays Ventura all the time. Q: It sounds like it should be a great day……. Yes, we’re really going to have a fun time. Let’s have a good time that day! The 10th Annual Ventura Blues Festival comes on April 25th. 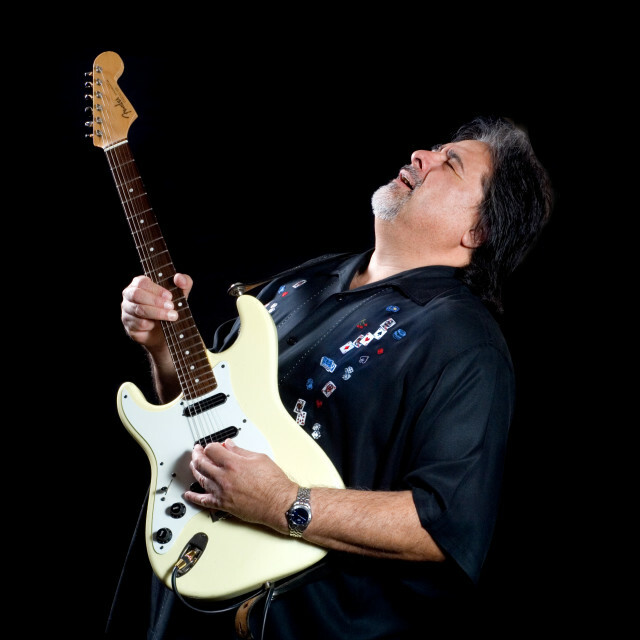 Along with headliner Coco Montoya, featured artists include John Nemeth, Deanna Bogart, the Delgado Brothers and B.B. Chung King. On a second stage, local blues talent will also be performing. 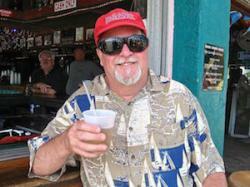 The event also includes a Charity Bike Run for actor/musician Mickey Jones who is facing some major medical challenges. This entry was posted in Events, Interviews, Miscellanious, Music, Upcoming Events and tagged Albert Collins, Blues, blues guitarist, Bluesbreakers, Coco Montoya, Ed Simon, John Mayall, Mickey Jones, Moorpark College, Ventura Blues Festival, Ventura County. Bookmark the permalink. Thank You Coco, for the “Shout-Out” to The Delgado Brothers , my younger Bros. You are definitely a “Class-Act” for Giving “Cred” to your “Roots”!! !